What is MQTT Used For in IOT? MQTT is short for MQ Telemetry Transport, and is a messaging protocol used in the Internet Of Things (IOT) systems. It is very simple and lightweight messaging protocol, designed for devices with limited processing power and low-bandwidth, high-latency or unreliable networks. MQTT was designed to minimise network bandwidth and device resource requirements, whilst also attempting to ensure data delivery reliability and some degree of assurance of delivery. The MQTT protocol ideal for Internet of things (IOT) “machine-to-machine” (M2M) devices. This is because bandwidth and battery power are at a premium, in IOT equipment designs. We can incorporate MQTT into custom equipment for our clients. 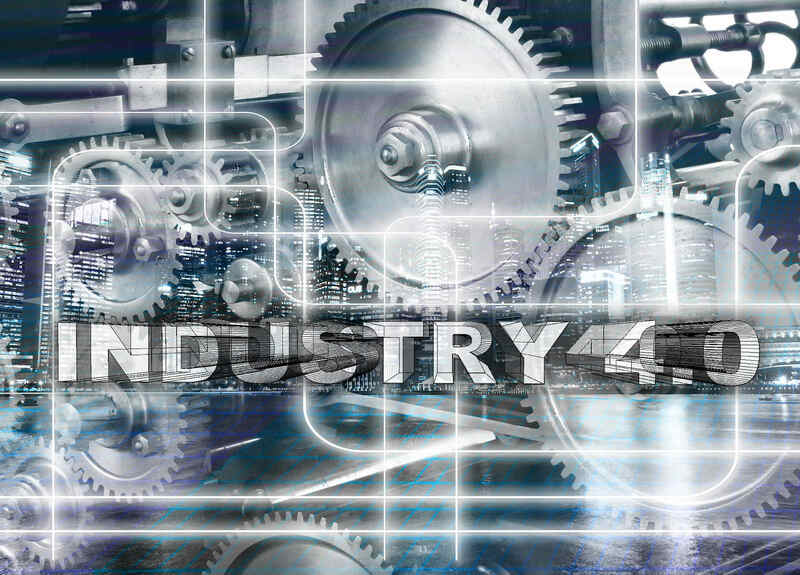 Industry 4.0 is a phrase that you will increasing hear in business manufacturing, but what exactly is it? Industry 4.0 is often described as the Forth Industrial Revolution, so it would be useful to explain what Industry 1,2 & 3 were. Industry 1.0 refers to the first industrial revolution that started around 1780. The first industrial revolution was powered by water and steam, and was very mechanical in nature. In 1870 the first electrically powered assembly line was introduced, and as the distribution of electricity become widespread, it opened up further opportunities for manufacturing. This was the start of the era of mass production. From the late 1960s onwards , computerisation started to be introduced into industrial processes. This started with the Modicon 084 , which was the first PLC, which is short for Programmable Logic Controller. A PLC is basically an industrial computer, used to control production processes. By using PLC control, factories were able to improve efficiency, and save time and money. An example of how a PLC did (and still does) save money is that the program software can be easily changed and modified, to adapt to manufacturing requirements. Prior to PLC control, you would need to redesign, and rewire large parts of your factory plant, to carry out the new process. This was both time consuming , and expensive to do. The latest revolution in manufacturing involves minimal intervention & involvement by human beings. Instead what is often described as ‘machine learning’ takes place, where algorithms make decisions based on live input data. LoRa is a spread spectrum wireless technology, developed by Semtech Corporation. 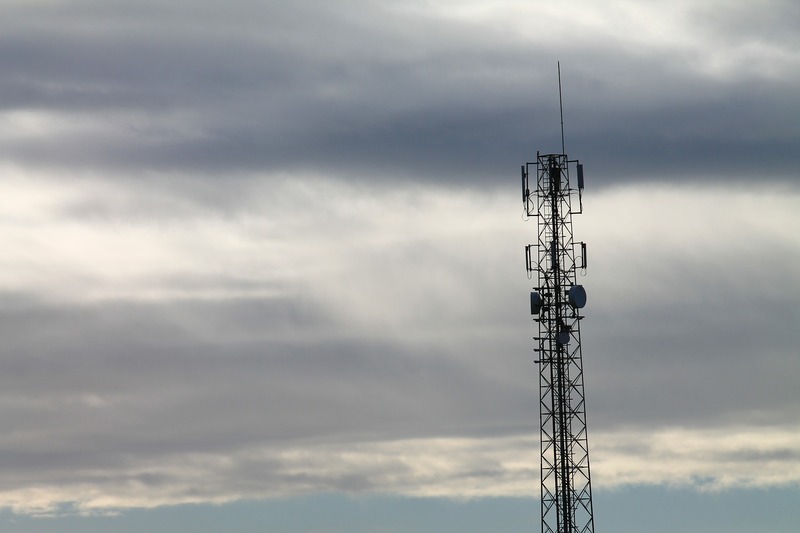 It has been developed to allow long distance transmission of low rate data. The low rate data is collected by remote field sensors and actuators, and is used for Internet of Things and M2M applications. Lora uses the 868 Mhz unlicensed radio spectrum, in what is known as the ISM (Industrial, Scientific and Medical) bands to wirelessly facilitate low power, wide area data communication between the remote sensors and gateway devices, which connect to the Internet, or other network. First of all, what is Lorawan. It is a wireless technology that allows small amounts of data to be sent between a remote sensor (such as a river level detector), and the Internet. Lorawan technology is very efficient at sending the sensor data over long distances, whilst consuming very little power. This means that a the sensor devices can be battery powered, whilst the batteries last for years. A Lorawan Gateway is the device that receives the wireless signals containing data, that has been transmitted (using Lora wireless technology) from the remote sensors (river level monitoring, air quality etc). Once the Gateway has received the wirelessly transmitted data, the gateway forwards the data onto the Internet. Gateway connection to the Internet can be via a variety of means, such as Wifi, Ethernet, 3G, 4G, 5G etc. For beginners to building their own gateway, I would recommend joining, or founding a local Things Network . The Lorawan Gateway that I am going to describe here, is designed to operate on the Things Network, however other lora networks can easily be installed. 1) A Concentrator board from IMST of Germany. The Concentrator board is the wireless communications part of the system, responsible for receiving the wireless data signals, from the remote environmental sensors (Air quality sensors etc). 2) A small computer to store the software that controls the Concentrator board. We are going to use the UK designed Raspberry PI 3. A Micro SD Card, for holding the software used by the Raspberry PI. A small 4 GB card is fine. 3) A suitable Antenna (or Aerial), with pigtail connecting cable. 4) A suitable 2 Amp rated power supply, with a micro USB connector. 5) 7 Female to Female connecting leads, suitable for raspberry PI. 4) A suitable case, to house the components. The first thing I need to make you aware of is the risk of static electricity, to your IMST ic880a Concentrator and Raspberry PI. Static can damage the sensitive electronic components, therefore it is advisable to take precautions, such as not touching the board components, and wearing an anti static wrist strap. The first thing you need to do is to format the micro SD card, that will be fitted to the raspberry PI, to hold the gateway software. The SD card association has a free piece of software, for Windows PC and Mac, to do this. My card was already formatted, so I skipped this step. The next step is to burn the actual software that will power your gateway, onto the Raspberry PI. I first installed Etcher onto my linux desktop computer. As most people use Windows PC, or Mac, you will need to find a suitable alternative to Etcher. I also downloaded the operating system needed to run the Raspberry Pi, which is called Raspbian Stretch Lite , onto my desktop PC. Put your micro SD card into your computers micro SD card reader. If your computer (like mine) does not have a card reader, then external USB plug in ones can be purchased cheaply (I got mine from my local Asda supermarket for £6). Fire up Etcher, or whatever card burning software you prefer, and select the copy of Raspbian Stretch Lite , that you previously downloaded to your PC. Follow the instructions, and burn the operating system software onto the micro SD card. Once you have successfully burned your Raspbian Stretch Lite, onto your SD card, insert it into the Raspberry Pi (the slot is on the underside of the Pi). The next thing to do is to connect your Raspberry Pi to a suitable monitor (I used a TV, that had a HDMI connection), and also connect a USB keyboard, power supply, and mouse. The power supply should be 5 Volts DC, and Raspberry Pi power supplies are widely available. I used a USB phone charger, with 5 Volts output, and a current rating of 2000mA. Boot up your Raspberry Pi (connect the power), and you will see lots of computer code scrolling across your screen (if you have done everything successfully, so far). When the Raspberry Pi asks you for a user name and password, use the following default ones (the bit after the ‘ : ‘ ). Numbered options will now hopefully be on your monitor screen. Then select  Advanced Options , and then [A1] Expand Filesystem. Next you are going to Configure the locales and time zone. Type this in, to set the locales, and follow instruction. Next, type this in to set time zone. Next we are going to install Git , which is needed to be able to download the Things Network software from Github. The next step is to create a user called TTN (the things network). This user will eventually replace the default raspberry pi user, which we will delete. Once you have logged out, log back in using the user name and password that you have just set up, when you added a user. Set the WIFI SSID and password details, which can be found on the back of your home router / Hub (usually). Once you have typed in the above text, you should see some code on the screen. Add the following to the end of the existing code, making sure that you enter your SSID and password details, in place of the shown text. Now we are going to clone the installer from Github. This will download the software which runs the gateway, from the Github repository. Type each of the following three code lines into your Pi, one at a time, hitting the return key after each line of code. The software will give the gateway the default name of ttn-gateway. This however may need to be changed, to prevent issues with other Things Network Gateways within wireless range. The next step is to connect the Concentrator board, to the Raspberry Pi, and also connect the antenna. The components including the antenna should be mounted in a protective box, and the antenna connected to the Concentrator board. It is very important that the Concentrator board is not powered up, with no suitable antenna connected, of damage could occur to the board. Once the antenna is connected, then the next step is to connect the Concentrator to the Raspberry Pi. It is important that you identify the correct pins, by referring to the manufactures data sheets (Both IMST & Raspberry Pi). We accept no liability for loss or damage caused, by following these information only instructions. For help, as to which pin is which on the Concentrator and Raspberry Pi boards, why not get in touch. I also offer workshop training, where I can train your students to build their own Lorawan Gateways. Craig Miles (C) 2018 , all images and content, unless stated separately. A safe two-way radio equipment installation requires the ability to quickly disconnect the supply to the equipment, if a fault develops. Fuses are a cost effective solution, for equipment safety. Fuses are devices that protect equipment installations, from excess electrical current. Excess current is caused by a fault in the equipment, or system wiring, and can cause equipment damage, or even fire. The fuse works by ‘blowing’ if a certain current through it is exceeded. When the fuse ‘blows’, the electrical current ceases to flow, due to a physical break inside the fuse, preventing current flow through it. Electrical fuses come in a variety of package types, and current ratings. For example, package types include ‘cartridge’ and ‘blade’ designs. Fuses are also made to blow at different current thresholds, so can be matched to the piece of equipment it is connected to. There are also fuse types known as ‘slow blow’ fuses. Slow Blow fuses are designed not to blow due to a short spike in electrical current. Short spikes can be caused by surge currents, which is a very temporary increase in current, when a piece of equipment is started. Fitting an incorrect fuse can either reduce safety, or reliability. For example, if a fuse is fitted that has too high a current blow rating, then if a fault develops with the equipment, the electricity will find another weak point in the system. This weak point could be the radio equipment itself, and the excess current could damage it. On the other hand, fitting a fuse that has too small a current rating will reduce system reliability. This is because the current being drawn by the radio equipment is more than the fuse can cope with, and therefore will blow. 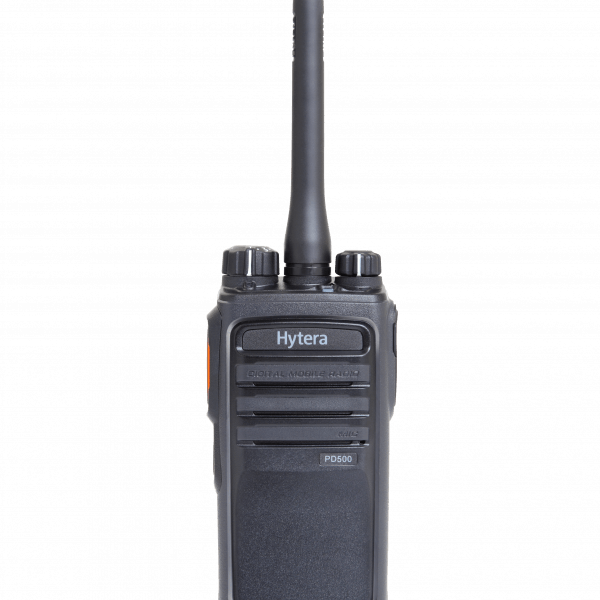 Two way radio equipment, draws less current when receiving, than when it is transmitting. Therefore the fitting of a too small fuse, may not become apparent, until the two way radio transmits. Always refer to the manufacturers equipment specifications to understand the maximum current that the equipment will draw, and select a fuse slightly larger. If no manufacturers data is available, then using an Ammeter in series with the DC supply, can determine the current drawn. Remember however, to also test on transmit, and with maximum transmit power selected (if an option). (c) 2018 Craig Miles / Yesway Ltd. The Things Network is a worldwide crowd funded Internet Of Things Network, which started in Amsterdam. It consists of sensors, such as air quality sensors that transmit data wirelessly via ‘Gateway’ devices to the Internet Cloud. It is rapidly expanding around the world, including the UK. Why do we need this network? The world is undergoing rapid change in the world of work, and it has been predicted that many jobs will become automated in the coming years. The Internet Of Things, or IOT for short, along with Virtual Reality & 3D Printing is part of this new industrial revolution. It is therefore vitally important that we educate the current and future generations quickly, so we don’t get left behind as a nation. The Things Network helps educate people, and lets businesses cost effectively develop new IOT products. The Things Network is based on a wireless technology called LoraWAN. As with all wireless technologies LoraWAN, which the Things Network runs on is range limited. One of the great features of LoraWAN technology is that the signal can travel a long distance, using low power. However as with all wireless technologies, buildings and natural objects in ‘line of sight’, will reduce the signal range. The Things Network uses devices called ‘Gateways’ to receive the signals transmitted wirelessly from the remote sensors, and puts the data onto the web. Currently the Lincoln Things Network has planned to install one Gateway near central Lincoln. This should cover a large area of the City of Lincoln, but other additional Gateways may well be necessary, due to objects, reducing the signal coverage. The components for the first Gateway device for the Lincoln Network has been ordered, and the gateway is currently being constructed. As the Things Network is essentially a voluntary community effort, we welcome help from schools and local businesses. Please get involved, as any help is appreciated. Some businesses are tempted to save money on their two -way radio equipment. Whilst this is understandable, it can be a false economy in the longer term. In mission critical environments, such as the marine or offshore industry for instance, cheap radio equipment can fail quicker. The reason I say this, based on experience, is that cheaper equipment generally has a lower IP (Ingress Protection) rating. Ingress protection basically refers to the radios ability to keep dust particles and water out. In a damp marine environment for instance, you have high levels of moisture, and a salty atmosphere (on coast & sea). A cheap radio will soon start to suffer from the corrosive and damp atmosphere, ‘attacking’ the internal circuit board. This results in premature radio failure. You should look out for a high IP rating, such as IP67 or IP68. Such IP ratings mean that the radio can be dropped in shallow water, with no i’ll effects on performance, or operation of the radio. A good marine radio, such as the UK designed Entel HT series, has an IP rating up to IP68. For ‘shore-side’ industries, Hytera or Motorola are rock solid recommendations.